The PAVER-LITE is a robust, long-lasting Paver Block Light for brick, block, interlocking stone, pavers, flagstone installations. 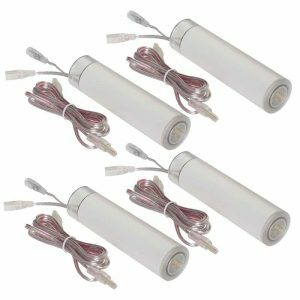 It is waterproof and completely sealed, requiring no maintenance over its lifetime. It will support the weight of any vehicle and makes an outstanding driveway lighting solution. The PAVER-LITE Paver Block Light is a robust, long-lasting paver light originally designed to be installed with 6″ X 9″ paving blocks. 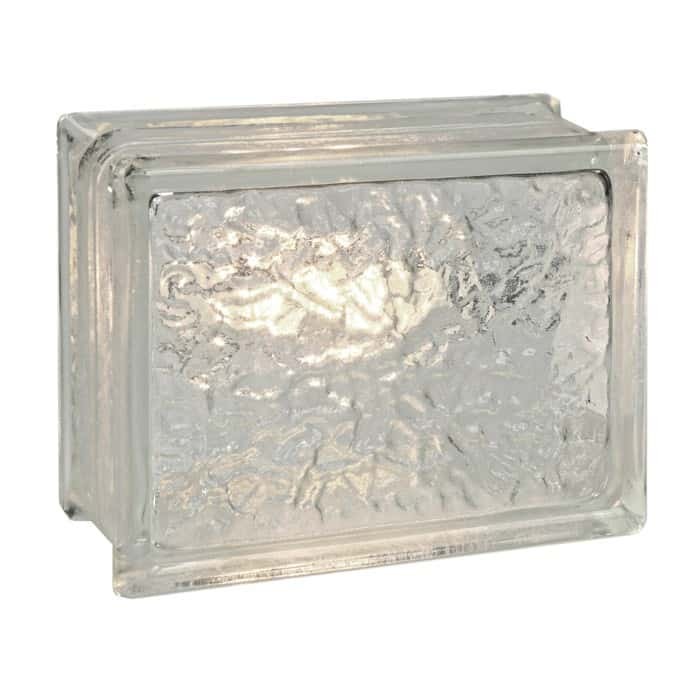 Made from 1/4″ thick molded glass, this heavy duty clear glass block fixture is waterproof and hermetically sealed. 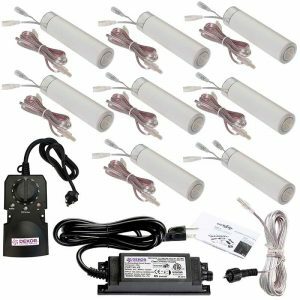 Although commonly used to light patios, decks, pool borders, pillars, pathways, and walkways, it is rated at 600 psi so it makes a fantastic driveway lighting solution; it can carry the weight of any vehicle, and is tough enough withstand years of light vehicular traffic. Illuminated by extremely energy-efficient, long life LEDs, PAVER-LITE Paver Block Lights are designed to last for years. The lights have built-in surge protection to protect the LED circuitry and are safety rated. Finally, PAVER-LITES are backed by a 5-year warranty when used with a DEKOR brand transformer. As you would expect, a product with this quality and craftsmanship is made right here in the USA. 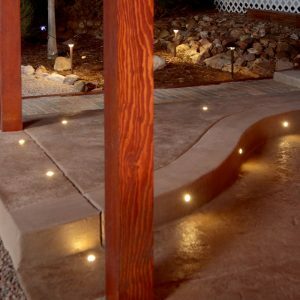 Install PAVER-LITE Paver Block Lights with confidence in brick, block, interlocking stone, pavers, flagstone, poured concrete, and in retaining walls. And did we mention how awesome they look? 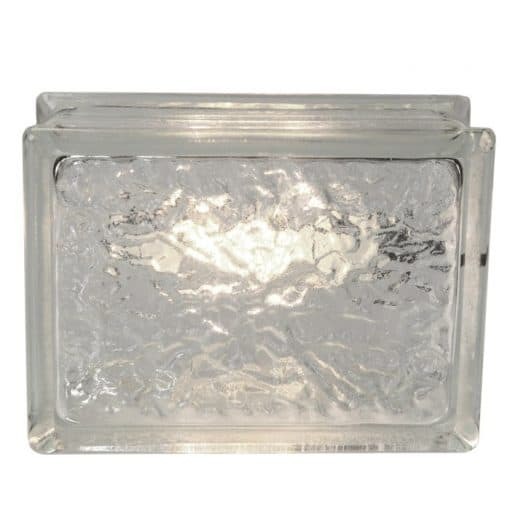 PAVER-LITE Paver Block Lights radiate a soft white light, the ambiance of incandescent lighting and the look of quality. 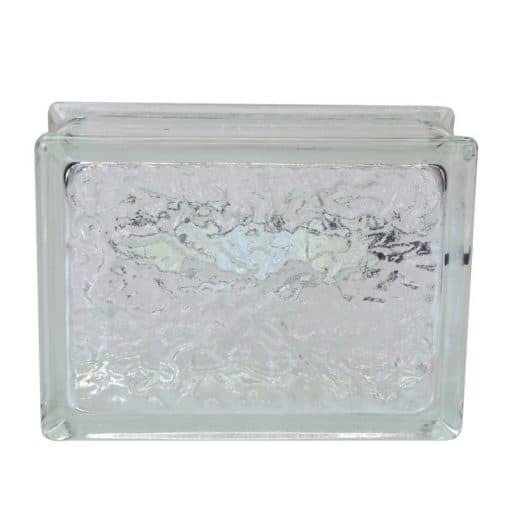 They will beautifully accent your driveway, walkway, or patio with the elegance of real glass while adding safety and security to your home. Download PAVERLITE Install Instructions as a PDF. 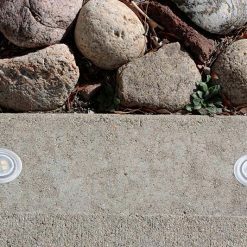 When embedding PAVER-LITEs in concrete, make sure you leave an extra loop of cable under the light block in the event it has to be removed.